$15.99 each List: $33.00, You Save: $17.01! 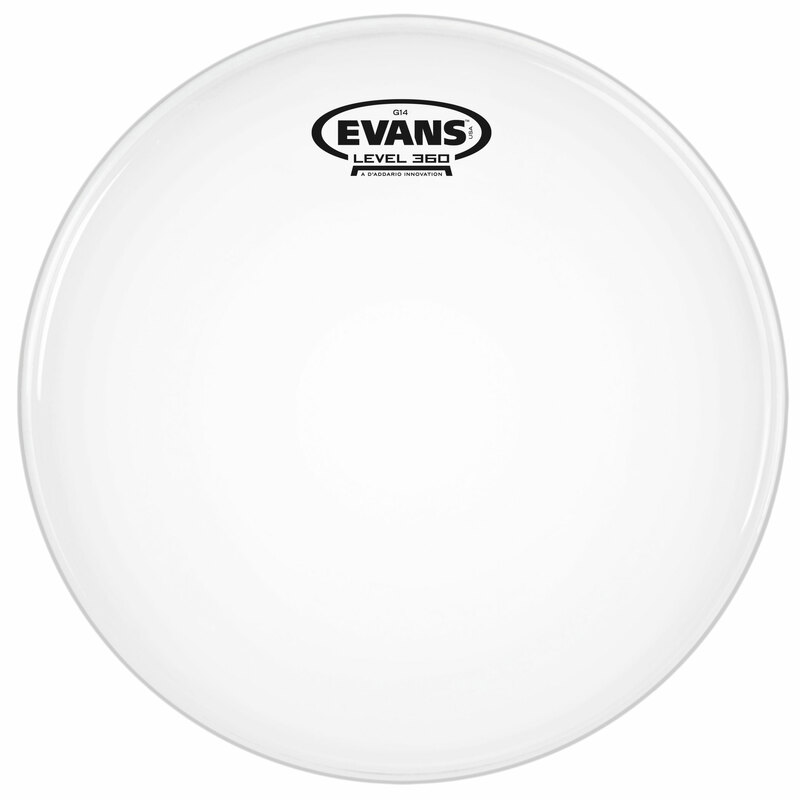 Evans G14 Coated Heads are made to take a serious beating, made from a single ply of film an impressive 14-mils thick. You can feel free to wail away on this head with little fear of breaking it. The significant thickness on this head gives it a ton of projection power and a punchy tone with medium sustain. The coated surface on this head gives it a little bit more warmth and less resonance than the clear equivalent.